The first thing to check before we plan for our holidays is the best months to visit a certain country. Thanks to the availability of internet, we can easily type and googled to check on the best months to visit the country of our choice so that we can book the flight tickets earlier to take advantage of cheaper rates offered. Those that planned their holidays well ahead of time will get to enjoy much cheaper air flight tickets. Checking on the best months to visit will help us avoid visiting during the raining seasons which will be very inconvenient for tourists to move around without getting wet. Some months are extremely hot in certain countries and it will be too hot for tourists to be able to enjoy the outdoor tours and sightseeing. Through the search on the internet, we can also pack the right type of clothing for our holidays according to the type of weather during our visit. 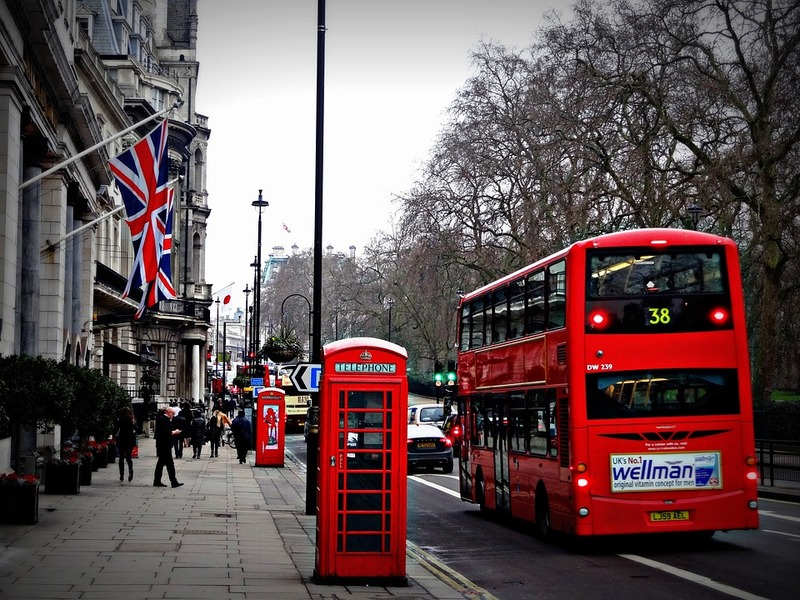 Take for example, from the search on the internet, it is revealed that the best months to visit London would be from March to May or from April to September for the better weather and events. The peak time will be from April to September, and large crowd is expected and of course, the hotel rates will be higher. For example, if one is travelling from Dubai to London, booking one of the earlier flights from Dubai to London will be advisable to get cheaper rate if you are planning to visit London during the peak season. If you are planning to make a stop to visit Dubai before flying over to London from Dubai, you can register for a Tajawal account with Tajawal.ea website in order to book flights from Dubai to London. In order not to miss out on good discounts or good offers by Tajawal, you are encouraged to check out their offer pages for good discounts before booking your flight to London. Many tourists prefer to make a stop at Dubai for a short visit before continuing their flight to London, after all, the flight from Dubai to London takes only about 2 hours. The natural phenomenon called Aurora Borealus or Polar Lights can be observed in both Arctic and Antarctic regions in a number of places around the world. It usually happens in the night sky, and the different color lights look phenomenal against the dark background. 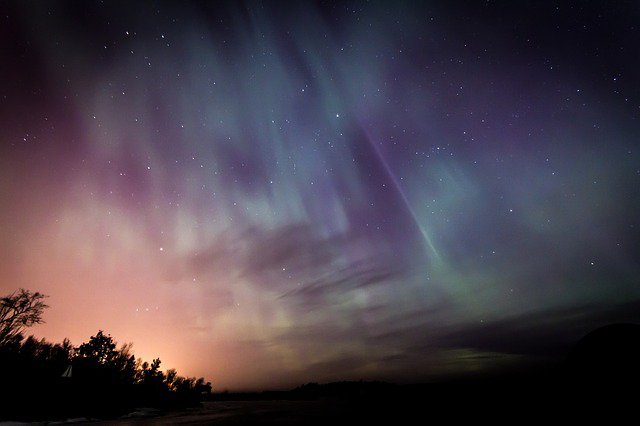 Interestingly, Northern Lights are a type of Aurora Borealis which happen near the North Pole. Apart from countries like Canada or Scotland, Northern Lights in Norway, and other Scandinavian countries also offer grand, life-altering experiences, which usually feature as a bucket list activity. No wonder, people travel far and wide to witness it. 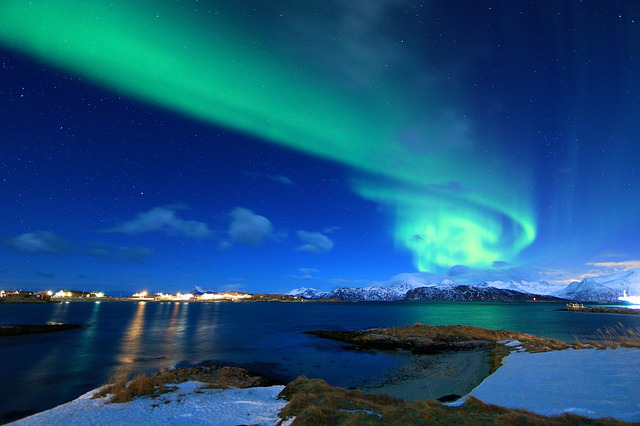 Read on to know more about places where you can observe Northern Lights in Norway. There isn’t much North left further than Svalbard. This Arctic island is between the 74th and 81st parallel and is undoubtedly one of the best places to see the surreal Northern Lights. A lot of people also come to see the Polar Night, a period between mid-November and early January, when Svalbard does not see daylight and is in a permanent state of spooky blue twilight. 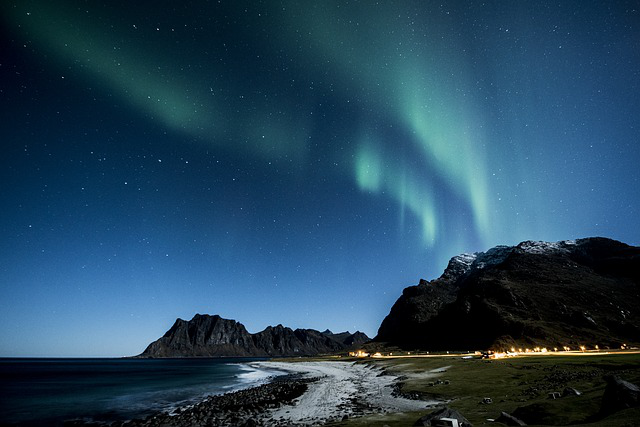 In the Norwegian Sea, way above the circle that marks the Arctic region, the Lofoten offer another great abode to not just see the green shimmers of the Northern Lights but also hear their unreal sounds. In the more conventional viewing places such as Scotland and Northern Canada, the sounds of the Aurora are often lost in the din of civilisation. Not so with Lofoten. You can also bring out your cameras for brilliant shots of the Lights being reflected off the water on beaches of Flakstadøy and Vestvågøy here. Don’t want to leave civilization? Go to Trondheim. Besides being known as the quintessential university town with excellent Norwegian food and culture (especially that of bicycles), Trondheim is also one place where you can enjoy the great Northern Lights show. Again, it is completely possible to view the Lights from within the city limits. However, the brightness and contrast of the colors increase the further away from the city you go. The town of Tromso is often called the capital of the Arctic area, and because about 217 miles into the Arctic, it offers one of the best opportunities to experience the freaky and beautiful Northern Lights. The biggest city in the northern regions of Norway, there are plenty of northern lights camps and safaris that depart from here. Things like dog sledding and snowmobile rides are also popular here. The city of Alta is located between mountain peaks and is shielded from the harsh cold that many of the coastal cities on this list experience. Its extreme northern latitude also makes it one of the prime locations for viewing the Lights. Also, the mountain peaks on the horizon provide a spectacular contrast making for some really gorgeous snaps of the Lights and the mountains. If you too wish to witness the natural wonder of Northern Lights, Norway is the perfect country for that. So, when are you planning your trip? Big Bear is a beautiful community in Southern California. For Maria Cobb Newport Beach is nice, but Big Bear is even nicer. As a couple, Kevin and Maria Cobb wanted to share their love of this beautiful area with others, so they went into the vacation rentals business. Specifically, the founded Five Star Vacation Rentals, through which they now offer numerous properties, perfect for a family vacation. Judging by each review and rating that their properties have received in the Big Bear area, it seems people agree that this is one of the best places in the world to spend some leisure time in. Big Bear is the perfect vacation spot for the entire family since there is something to do for everybody. In fact, it is even a pet friendly place to go. There are beautiful forests, hiking trails, lakes, and more. In the summer, people can enjoy the alpine lake, which is always in pristine condition, clear blue skies, and cool pine forests. It is a truly unique location, perfect for those who want to go off the beaten path, but equally for those who want to do what everybody else does. A farmers market, regularly held at the Big Bear Lake Convention Center, a lovely place to visit even if the market isn’t on. Country Nights and other musical nights, often held at the Cave. This is an opportunity to see multiple bands, often with local music. The Rose Parade and everything that comes before that. For instance, in the middle of July, Big Bear will have the Big Reveal, whereby the community can see this year’s float. This is usually held at the PAC. Theater projects, also often held at the PAC. This an opportunity to see existing and up and coming theater groups deliver their art. Animal projects at the Bear Valley Farms. Goat Yoga is one example of an event regularly held here. Chili Cook Offs, which are usually held at the Bartlett Events Area. Most of the time, cook off events are free for the whole family, making it an even better day out. The Renaissance faire and other such events, which are held in Fawnskin and tend to be yearly events. These are just some examples of the fantastic entertainment opportunities that Big Bear has to offer. Clearly, regardless of who goes and with how many people, it is impossible to be truly bored in Big Bear. And add to that a vacation rental with the best review and rating you can come across, and it quickly becomes clear why this area is so popular. We’re all so busy nowadays that it seems there’s never enough time for families to enjoy each other’s company. Parents always seem to be busy working, and when the kids aren’t at school, they are taking part in various activities, playing with friends or glued to their electronic gadgets. There is one occasion that provides the right kind of atmosphere for a spot of family bonding, and that’s a holiday. It’s not always the easiest of excursions to organise, but do it right, and you’ll have memories that last a lifetime. To take the stress out of a family holiday, here are some tips you should follow. What Accommodation will Suit Your Needs? There are plenty of options when it comes to holidays with the kids. 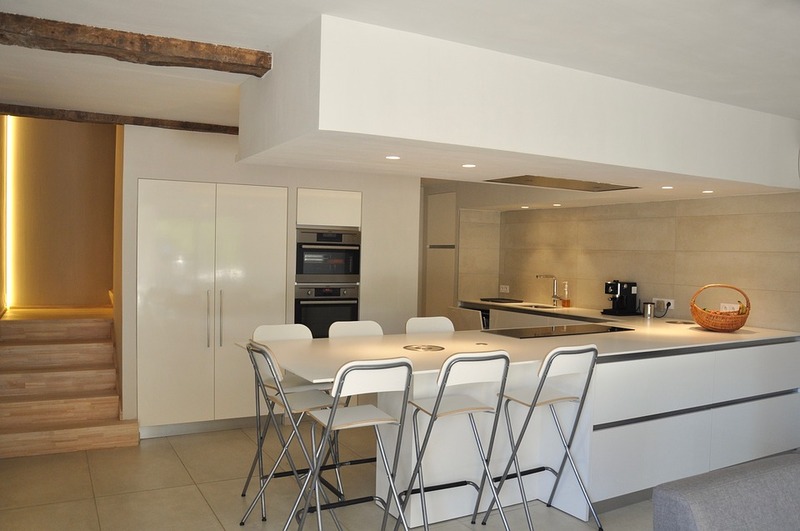 The most budget-friendly is self-catering, whereas the all-inclusive option will mean you don’t have to worry about cooking while you’re away. However, this does tie you to one spot for most of your holiday. For more freedom, looking at the selection of luxurious villas in the Algarve, on the other hand, allows for you to be more independent. You have the added freedom of being in a private residence, where you do not have to worry about hotel staff or other tourists when it comes to battling for a sun lounger or space in the pool. What Has Worked Well in the Past? Think about the holidays you’ve already taken and what has worked well in the past. It’s highly likely you may have had some holiday disasters, so learn from your mistakes. It’s a good idea to keep a journal whenever you travel with family. In it, you can make a note of the things people enjoyed doing, both on their own and as a family. If this is your first holiday, there’s no time like the present to start taking notes. Once you’ve got a few ideas, it’s time to run them past the kids and see what they think. Ask them for their impressions of the locations you’ve already chosen and whether they’ve got any ideas of their own. They might actually surprise you with their suggestions. For those of you with children who are studying a language at school, you might want to consider getting them some first-hand experience. Planning a holiday is becoming incredibly easy with access to so much information via the internet. Before you leave or even book your flights, check what the weather will be like and whether there are any festivals worth attending. Take a look at the area and see what other attractions there are. This is something you can get your children to help with as well. See if you can find out about the local produce and what the favourite foods are. What do you picture when you think about a family holiday? The three S’s probably feature high on your list. 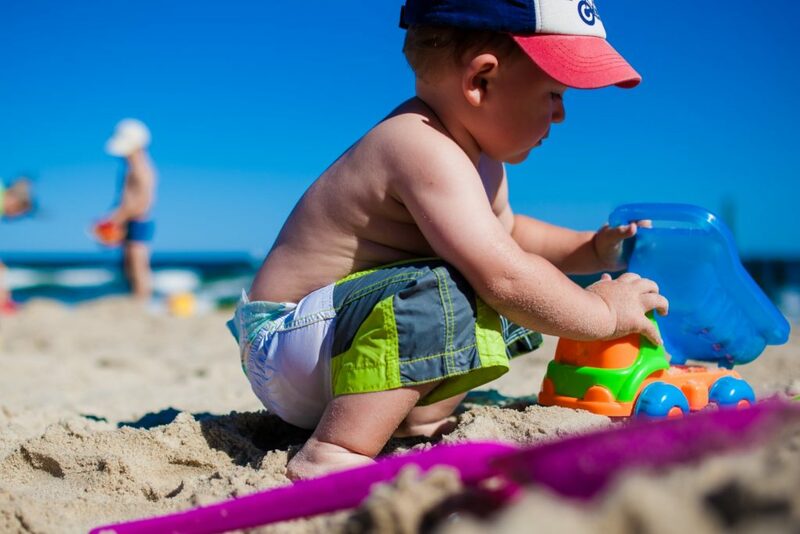 Sun, sea and sand seem to be a common denominator when it comes to holidays with children. It’s also very tempting to keep going back to the same place year after year. Why not see if a change in location can add some spark to your holiday, and try something completely different? There is a wide range of activity holidays you could try. Hiking across the Lake District, surfing in St Ives, skiing in Andorra, snorkelling in the Mediterranean or a safari holiday are just a few examples. Does the Holiday Have to be Two Weeks in the Sun? Have you thought about taking several shorter holidays rather than cramming everything into two weeks? City breaks are becoming very popular and can be a very cost-effective alternative when money is restricted. This type of holiday is better suited for those of you with older children. If you’re not too keen on spending too much time in a city, why not combine it with a week at the coast? There are many conveniently located near to the sea. Lisbon, the capital of Portugal, is one example. Traveling to different countries can be a very educational experience. You will be introducing your children to different cultures and meeting new people, often with very different habits. They will experience people speaking in a different way and be introduced to a wide range of different foods. 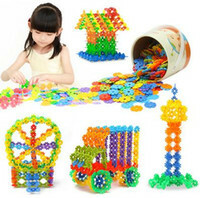 It is always very relaxing and fun to spend time in a resort, sat by the pool or building sandcastles on the beach. However, a holiday can be so much more. It will take a lot of planning and is far more involved than simply picking a page in a holiday brochure. The effort you put in will be amply rewarded, and you’ll all have memories you can share with other people and look back on with a smile. The family vacation has been done to death. Both in real life and on the big screen, the perils and travails of the “typical” family holiday have been explored to the point of tedium. Indeed, it only takes one such blase trip with your partner and children to turn you off the prospect of traveling entirely. This is unfortunate because, ideally, everyone should cherish new experiences and visiting exotic locales. Fortunately, we’re here to help families in need of some fresh vacation ideas. 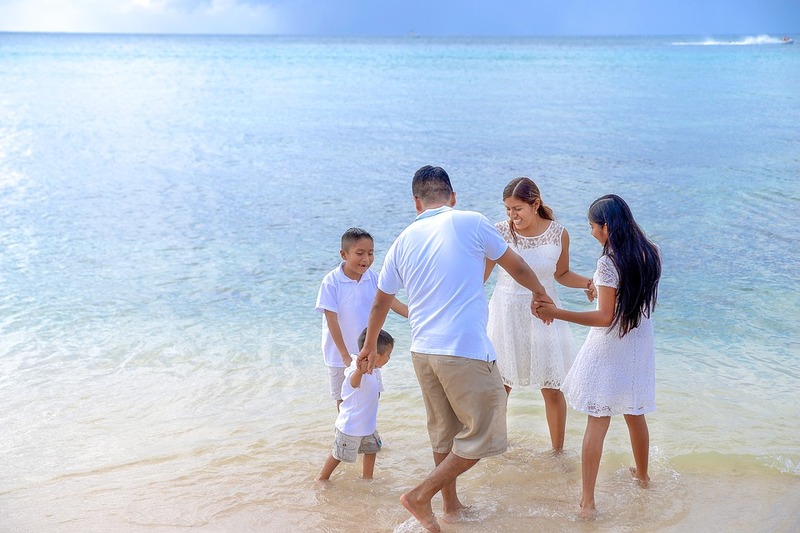 Here are three outside-of-the box ways to ensure your next family vacation is a memorable one –– for all the right reasons! We get it; it’s easy to travel with kids during the summer because school’s out. However, traveling during summer –– especially long road trips –– will likely expose you and your kids to some truly blistering heat. And untold family vacations have been wasted at hotel swimming pools because it’s “too hot to do anything else.” If at all possible, try to schedule your next getaway during another time your children are free from school, such as spring break or during the Holiday season. Not only will this open up new possibilities for your family to explore, but it’s also quite the economically sound travel decision. Road trips are overrated. In addition to taking up huge chunks of your vacation time, spending hours on end –– with anyone –– is bound to leave some nerves frayed. With that in mind, do everything in your power to get out of your station wagon. Buy plane tickets, go on a cruise –– do anything other than sit in your own car for the majority of your trip. Plus, if you really want to kick things up a notch, consider calling a company like All About You Limos and renting a party bus to explore a new city. Why travel at all if not in style? Far too often, trips are boiled down to one single attraction or destination. “We drove to Arizona to see the Grand Canyon.” Or, “We flew to Paris to see the Eiffel Tower.” Sure these tourist sites are popular for a reason, but if you really want to get the most from your next holiday, think about going beyond the norm. As exciting as national monuments and historical attractions are, there’s nothing quite like discovering hidden gems that only locals know about. Remember: keep an open mind and be willing to immerse yourself in a new location and culture. If you do, your next vacation will be a smash hit for the whole family!